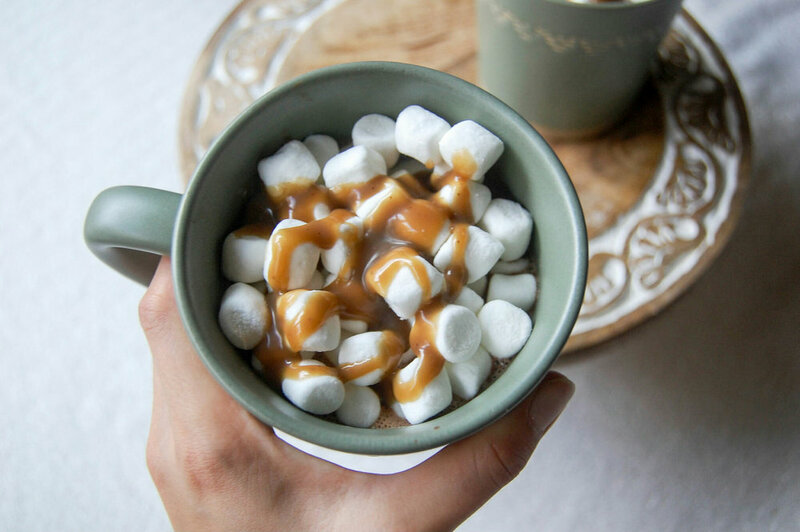 Hot cocoa has so many wonderful memories and feelings attached to it. The most prominent one of course is winter time activities! I remember ever sledding adventure included going sledding for hours and coming back to the house soaked to the bone and freezing cold. My sweet mom would always have hot cocoa and marshmallows ready for us when we got back! I've always been a fan of LOTS of tiny marshmallows vs. one or two large marshmallows. I did try a few times though to see if this hot cocoa scene from The Simpsons would actually happen LOL. 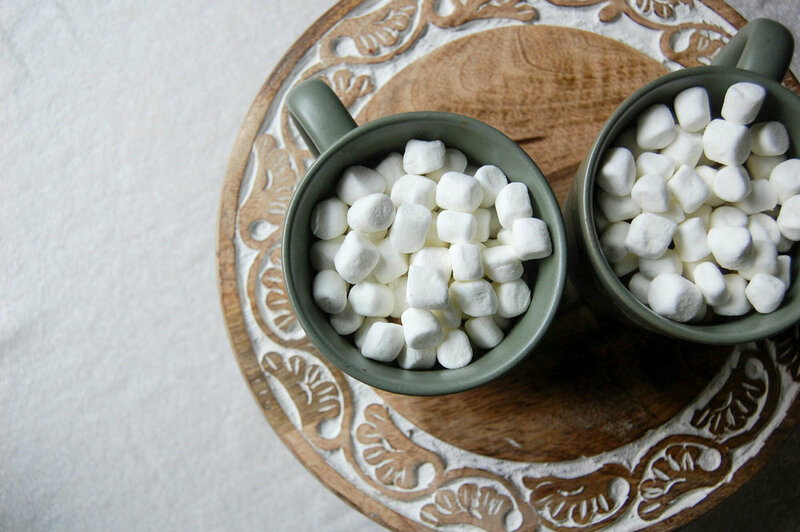 Hot cocoa has always been one of those things that never gets old. I've tried it so many different ways, but I've never tried it with tea! Tea and chocolate is a delicious combination so I knew it could only turn out well! 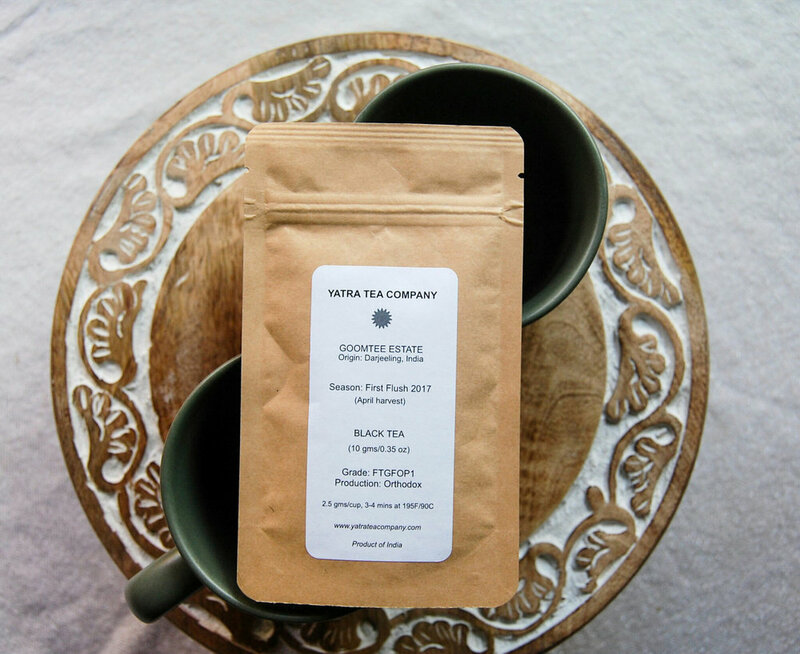 I simply brewed some Yatra Tea Co darjeeling tea and that came in my sips by box and added it to my hot cocoa pot. I've always loved making it from scratch because the flavor was always better. I added some spices to my mixture to jazz it up but they aren't necessary. The cinnamon is a must but not the nutmeg or cayenne! 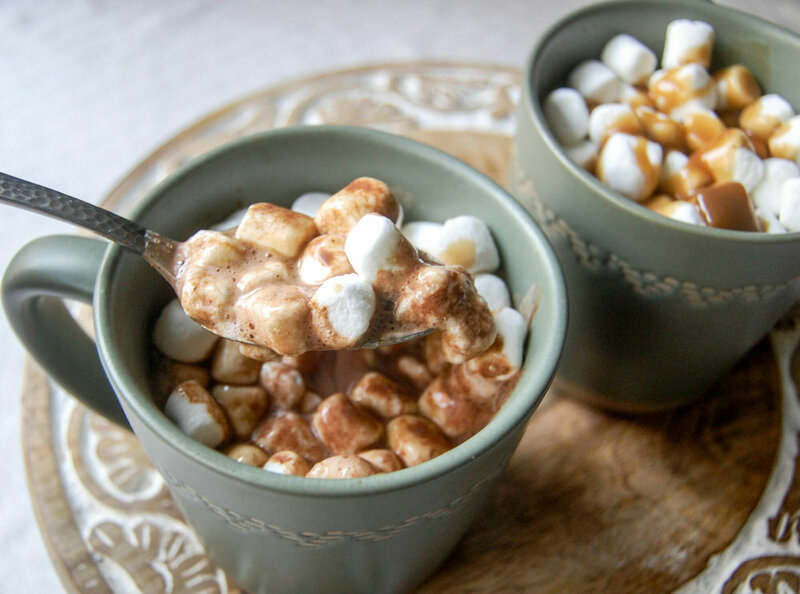 I added a bunch of marshmallows to mine but this mixture is good on it's own too! Remember that caramel sauce I made? It's the gift that keeps on giving because I added it to the top of these marshmallows....mmmm! I like that the darjeeling tea makes the hot cocoa have an even richer taste. When it comes to cocoa powder, use a good quality one so that the flavor comes through well. I used 1/2 cocoa in my first batch and it was REALLY chocolatey. I would suggest using a little less if you want it to not be as strong OR you can add additional milk or tea!